Checkerboard flooring in the kitchen can add an elegant or fun touch to this very important room. Your kitchen flooring needs to be durable and best of all easy to clean. One design approach that’s making a comeback is a checkerboard flooring kitchen look. Checkerboard flooring doesn’t have to be black and white; it can be any color combination that works for you. Black and white flooring in your kitchen gives a clean, bright look, but don’t feel constrained by those colors. Kitchen black and white flooring is popular, but maybe it’s time to start your own trend. It is amazing how flooring trends, just like fashion trends keep reappearing after some intervals. Just when they think that they have disappeared into the labyrinths of extinct fashion forever, they make a dramatic reappearance. Kitchens are one of the most important rooms in the entire house and aren’t just for eating in anymore. The kitchen area can be a meeting place, used for crafts and homework, and a place to hang out. Everyone knows parties always migrate to the kitchen! That’s why it is so important to choose flooring that fits the personality and feel of your family and home. Creativity is very important and there are many ways that you can show your creativity through your kitchen flooring choice. Have you considered a checkerboard flooring? There are so many colours to mix and match from, that the very idea is quite consuming. If you have a bit of creativity in you, the possibilities it presents are limitless. A checkerboard flooring kitchen makes a statement about your family and home. The retro feel of a checkerboard flooring kitchen can help you to have a foundation for decorating your kitchen in the ’50s style, complete with a jukebox, though you don’t have to go in that decorating direction. Checkerboard flooring can be done in any color combination and can go with just about any decorating style. You are only limited by your creativity and imagination. For people out there who are a bit confused with the overwhelming number of options out there, can always the seek of a professional interior decorator or better still, use the internet. 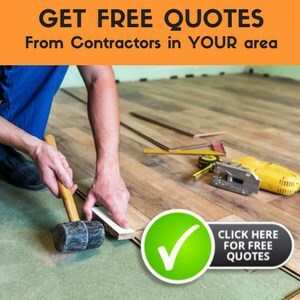 It is a free resource that offers abundant options and tips how to choose the perfect flooring. Once you go through various blogs and forums on checkerboard flooring kitchen, you will get an idea as to what color combination may work for your kitchen. You can go ahead from there. If you are looking for a clean, contemporary look, you might consider installing black and white flooring in your kitchen. Kitchen black and white flooring makes the room feel updated, clean, and neat. Black and white vinyl tiles can be laid in a checkerboard pattern or any other pattern to create a room that is contemporary, sleek, and interesting. If you want to make your kitchen look brighter and more interesting, you will want to consider using black and white flooring in your kitchen. Using floor tiles creatively will help you to create a kitchen floor that others will be envious of. You are only bound by your creativity when deciding what pattern or design to arrange the tiles in. Using tiles of varying colors and hues help to create texture and interest in the kitchen. It gives the room a personality and feel all its own, which makes your friends and family want to be in the room. Whether you just make a border around your kitchen or you create a more intricate pattern or design, you will have a kitchen floor that is one of a kind made just for you. Changing your kitchen flooring is a great way to change the entire look of the room. Most people don’t think of changing flooring when they want to quickly update a room, but your flooring choice can make a huge impact on the feel of the room. Making a pattern or design using flooring makes a room feel more interesting. You can use vinyl tiles, ceramic tiles, or even different finishes of hardwood flooring or stone tiles to make a checkerboard pattern or a design in your kitchen. They are not too much costly and hence it allows you the financial freedom to experiment a bit with various colours and patterns. Whether you choose to have a checkerboard flooring kitchen, black and white flooring in your kitchen, or another pattern, you will have a kitchen that is full of interest and texture when you choose to use different colors and finishes in creating your floor. If you are looking for a way to make your kitchen into a masterpiece, then adding a patterned floor is a great choice for you. Decorating is a personal choice that is really difficult to help with. I would suggest using color samples and comparing them to the cabinets, and choose what will look best for you.